More than half of the properties in the first phase of the Balloch Park development in Mains of Taymouth Country Estate & Golf Course at Kenmore have been bought. Here, bespoke two and three-bedroom timber lodges are currently priced from £179,000. The development offers those looking for a quality holiday or permanent home, easy access to all the facilities on the award-winning estate. Investment buyers are also well catered for, with a lodge purchase offering a superb high-yield return, together with tax savings. 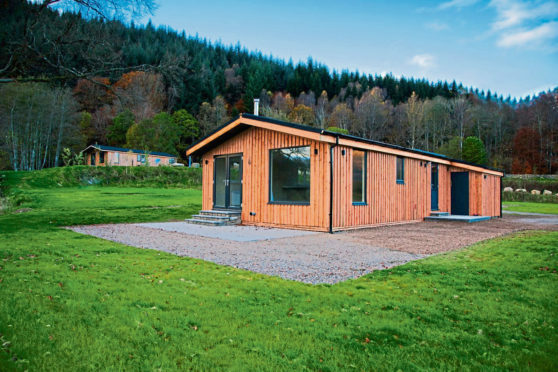 The opportunity to design and customise each lodge in association with Blairish Restorations, Mains of Taymouth’s esteemed local builders, is also making the development stand out from the crowd. All Balloch Park customers so far have chosen to put their own mark on to lodge layout and specification. 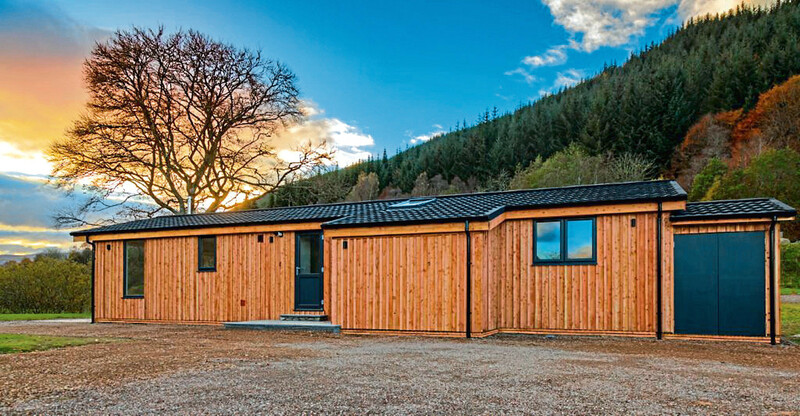 The lodges, which have low running costs and feature eco-friendly materials, are built to order by Blairish, with clients kept fully informed of the progress of their new property. Extras such as log burning stoves and saunas can also be added. 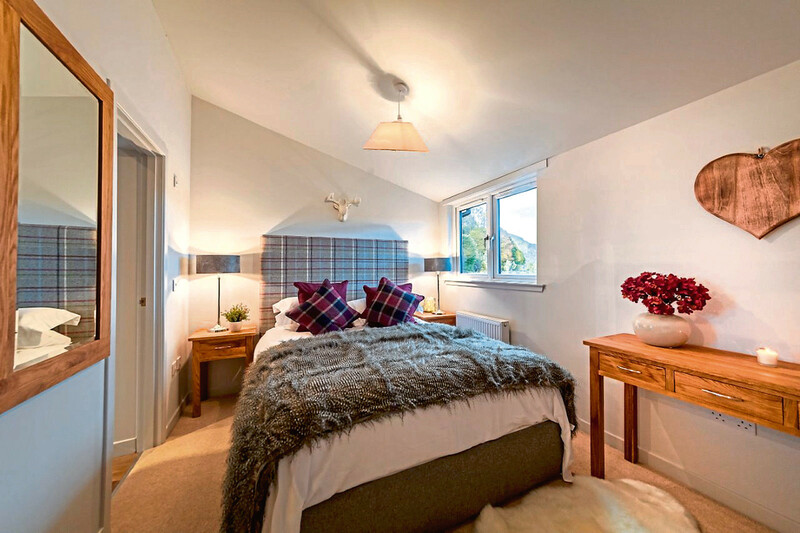 Each lodge is fully furnished to a Visit Scotland five-star standard, ensuring that, if being bought for investment purposes, it will perform strongly in the vibrant Highland Perthshire lettings market. If bought for personal use, clients can be assured they are purchasing a turn key, low-maintenance property. Features of the lodges include large, open-plan living/dining/kitchen areas, custom built kitchens with stainless steel appliances, floor to ceiling windows, aspect ceilings with skylights, “his and her” sinks and large walk in showers. They even contain dressing rooms, separate en suites, and the main bathrooms have full-sized baths. Each lodge is also complete with double glazing, high insulation and central heating. “We now have eight luxury lodges remaining for sale here at Balloch Park,” said estate manger, Peter Bancroft. “Ownership here is stress free whether you are a lifestyle investor or buying as a countryside retreat to escape to whenever you can. “As we approach our premium holiday period here at Mains of Taymouth, properties here in this proven location are in high demand.